Prior to partnering with Spoiler Alert, this fast-growing e-commerce company utilized spreadsheets to monitor inventory losses and share shrink data across departments. This made it difficult to accurately assess shrink levels and trends, and maximize use of alternative outlets - such as hunger relief organizations - for high-quality, excess product. The company sought a scalable tracking solution for managing process improvement and its communications strategy as it ramped up operations in other parts of the country. Improved donation documentation to enable significant tax savings. The company's desire to have greater visibility into its community initiatives and sustainability activities were easily provided by Spoiler Alert's dashboards and automated email reports. 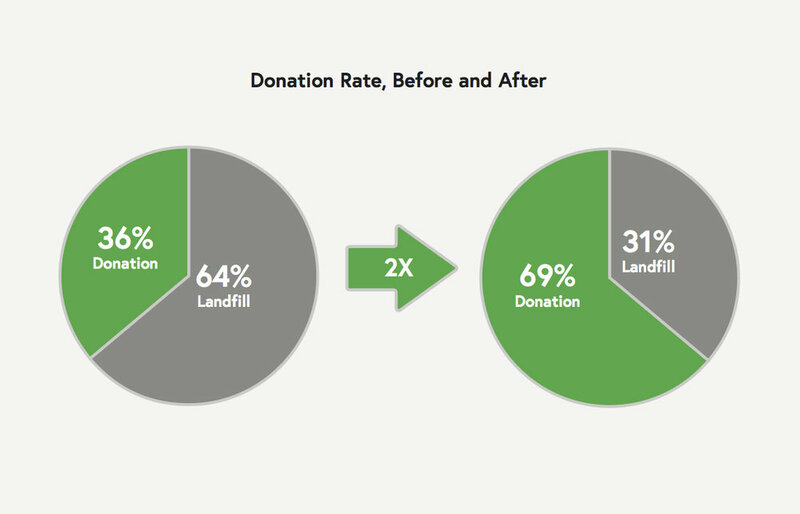 These snapshots provided management with weekly and monthly insights that highlight key successes and areas for improvement using key performance indicators - most notably, product volumes, donation rates, top community partners, and landfill diversion success. The impact metrics provided helped facilitate engagement and buy-in to the initiative, and encouraged the company to highlight its progress publicly. Most recently, the company has engaged its category management team to use data generated within the platform to inform purchasing and procurement decisions to ultimately drive reductions in generation of unsold inventory.